Gaur is the ideal holiday retreat for those who are connoisseur of historical architecture. Nestled near the west bank of the Ganges, this historical city is situated around 40 km. downstream from Rajmahal, in the district of Malda of West Bengal. The location is dotted with a number of archaeological sites and historical places, admired with splendid architectures. Though most of the architectural splendours have been reduced to remnants, but still the city of Gaur holds some aura, which attracts tourists from far and near. Winter and spring months are the best time to visit Gaur. Gaur is renowned for its ancient forts on the bank of the River Bhagirathi, where you can only view the ruins of them. However, the sight of the main entrance of the fort, the Dakhin Darwaza, admired with five-storied towers built in its four corners is truly amazing. 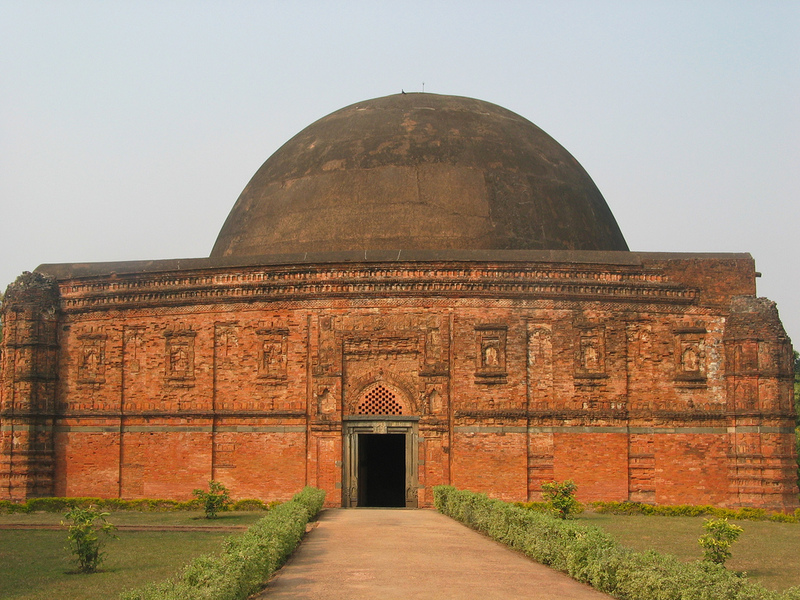 It was built with red bricks, decorated with motifs of rosettes, suns, lamps etc. The southeastern corner of the fort is adorned with the Biasgazi wall, boasting a towering height of 22 yards. The forts were built during the Mughal empire Shah Shuja and dotted by Mughal architectural style. 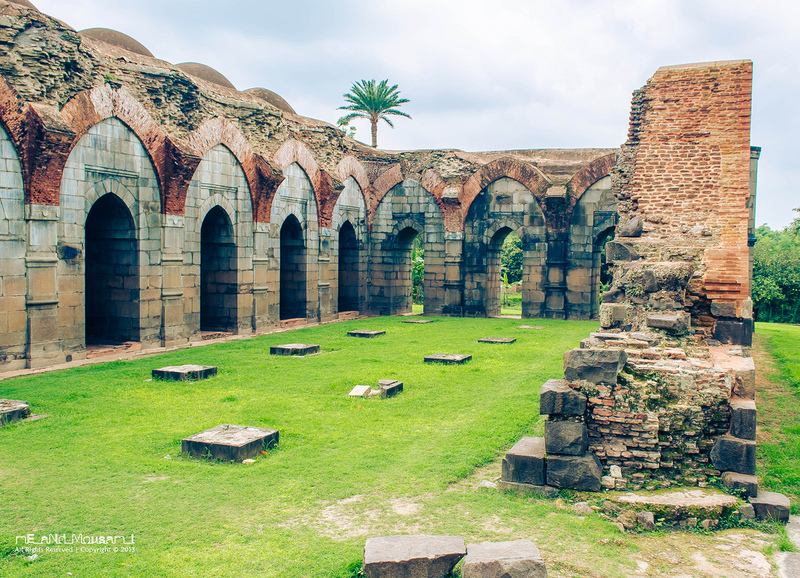 Pay a visit to the Tantipara Mosque, located near the fort. The mosque featuring five entrances is highly decorated with red colored bricks. Another site of tourist interest is Lattan, gracefully structured with colorful bands of green, blue, white and yellow glazed tiles. 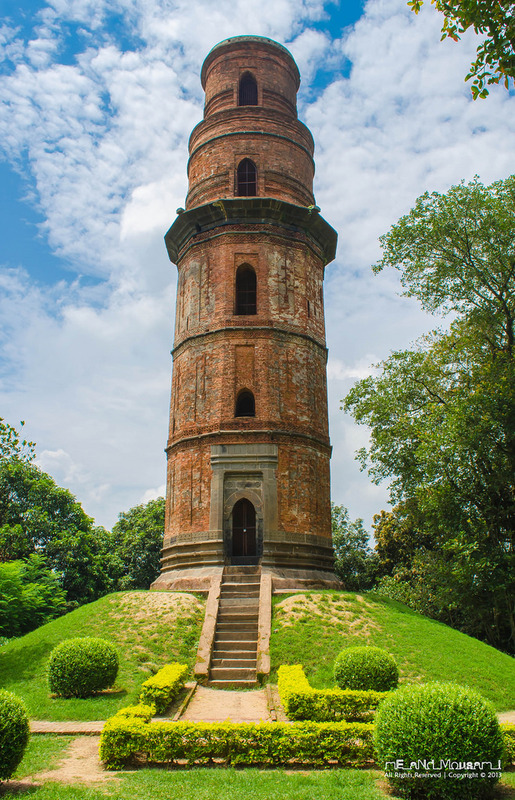 You will also be attracted to the beautifully built Firuz Minar, symbolizing the victory of Firuz Shah. 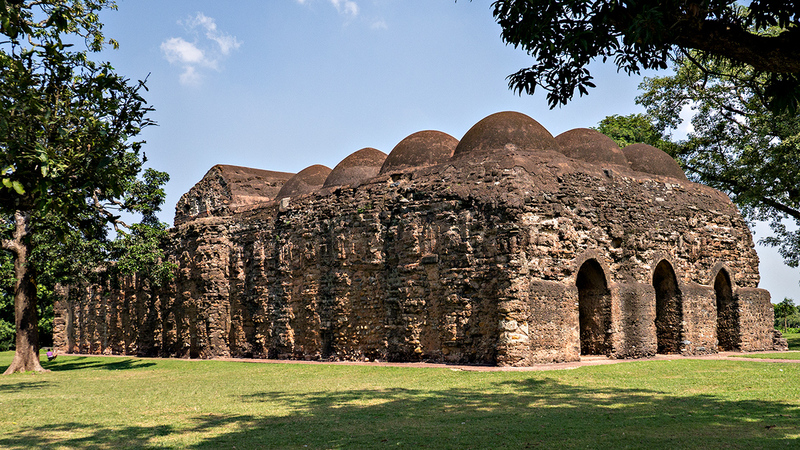 The Bada Sona Masjid admired with 44 domes also offers a visual treat. You can spot the Madan Mohan Jiu Mandir in Ramkeli, located nearby the Bada Sona Masjid, frequented by the devotees of Sri Chaitanya. The cultural harmony for decades are also matter of pride for Bengal.